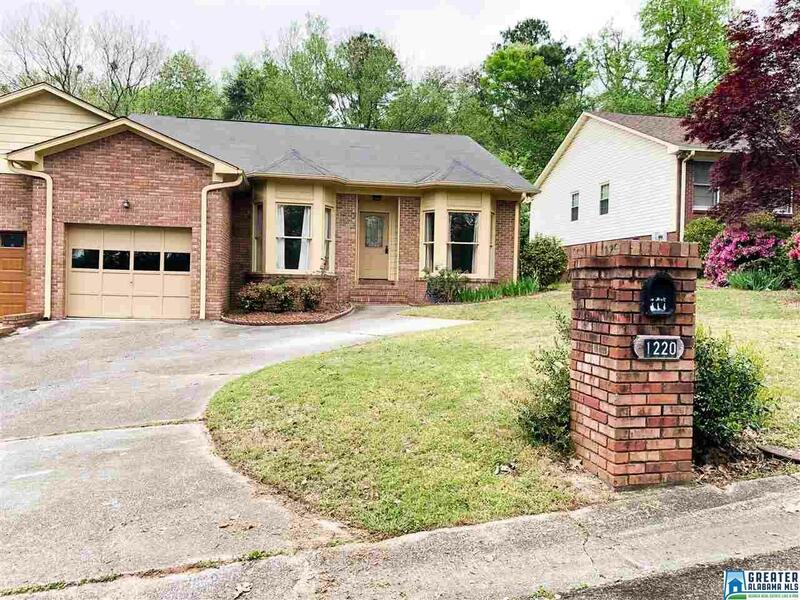 1220 Vestavia Pl, Vestavia Hills, AL.| MLS# 846007 | Richard Jacks UABLIVING.com 205-910-2297 | Birmingham AL Real Estate | Contact us to request more information about our Homes for Sale in the Birmingham AL area. Here is a gem just waiting to be found! Located just a stone&apos;s throw from Vestavia West and Wald Park is this lovely townhome on Vestavia Pl. A 3BR/2 BA home with just one adjoining wall and NO ASSOCIATION FEES! With over 2000 square feet of living space, on one will feel cramped. The two guest rooms have great closet space with an updated bath and oversized shower. On the back side of the house is the completely UPDATED KITCHEN. Granite countertops, stainless appliances - even a prep sink! The master bedroom can fit your king sized furniture and holds a walk-in closet. An open floor plan for the kitchen allows easy access to the den with a gas fireplace. Adding more space is a sun room - great for reading, sipping coffee, whatever your guilty pleasure is. In the backyard, the owners have left their outdoor fire pit and gazebo for entertaining during the spring, summer, and fall. This is the place to be! Driving Directions: From Hwy 31, Turn Onto Merryvale Rd. Turn Left Onto Vestavia Pl. Home Will Be On The Right.